Singer Otile brown surprised his fans recently on social media after posting a video wearing an underwear only. 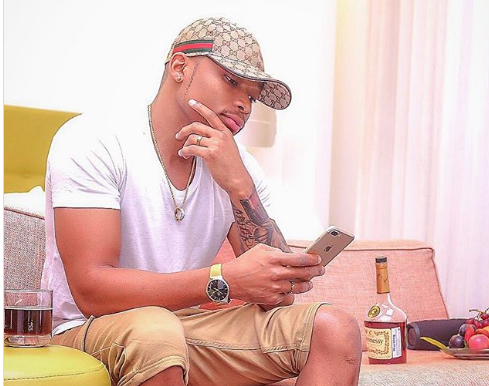 Otile, who is now back with Vera Sidika and the two caught many by surprise after announcing their reunion, if there was any break up in the first place, did it while in Dubai. And just like his woman, it seems Otile has also been bitten by the semi-nudes bug. 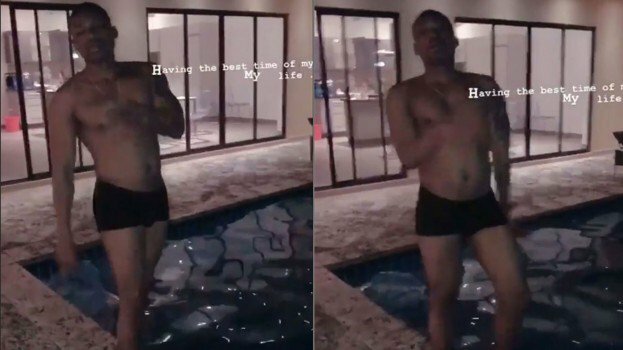 In his insta-stories on Instagram, Otile shared the video wearing a black boxer and dancing next to a swimming pool. In the video, the Baby Love hitmaker is only clad in a black underwear that leaves little to the imagination of his fans. He captioned it that he’s currently enjoying the best of his life. The singer is currently back in Kenya after a week long vacation with Vera in Dubai.